Crunch! Crunch! That is the sound rocks make when you are walking on them. You might think rocks are just boring things that randomly appeared but they are so much more than that. 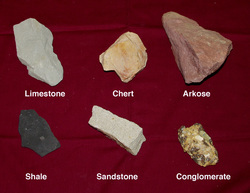 Rocks are substances that have been made up of different minerals that have been created above and below the earths surface that have could have been cooling for a long or short period of time depending on if it is an extrusive or intrusive rock. But, you will learn all about that in this section! 1. Marble- was originally limestone, which is a sedimentary rock. 2. Slate- was originally shale, which was a sedimentary rock. 3. 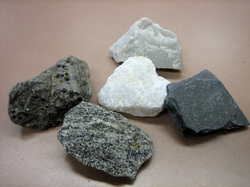 Gneiss- was originally granite, which was an igneous rock. 5. Anthracite- was originally coal, which was a sedimentary rock. The rock cycle it is the change in rocks. It shows how rocks change from one to another. It shows how metamorphic can change to both igneous and sedimentary, it also sows haw igneous can change to both sedimentary and metamorphic and that sedimentary can only change to metamorphic. But, how do they change from one rock to another? Well, Igneous rocks can change to sedimentary rocks by going through weathering and erosion and will end up being sediments. Next it will go through compaction and/or cementation. Then it will become a sedimentary rock. For it to become a metamorphic it will have to go through heat and pressure to change. 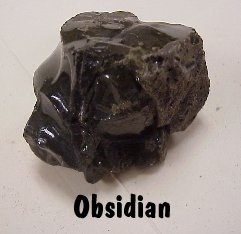 When it becomes a metamorphic rock it can either go through weathering and erosion to become a sedimentary rock again, OR, it can can melt and become magma and go through a cooling process and once again become an igneous rock. It will be the same process for each rock, but it will just be starting at a different place.